Getting through this exam will enable students to find admission in engineering colleges/institutions. CG PET has been coined from the term Chattisgarh Vyapam. This exam is the best way to enroll in engineering. For further information in this regard, aspirants will need to go through the whole article. Through this article, candidates will get to know the complete details related to CG PET 2020. The applicants will find the application link on the website. Students can apply for Application Form by online process. The online application form of CG PET 2020 will be released in the fourth week of March 2020. When completing the application form. All the students need to give some necessary details such as Aadhar no, A/C no, PAN card no, Driving License No. in form. Candidates also have to affix the scanned image of the photograph, thumb impression, and signature as per need. The last date to pay the application fee and submit the application form is until the third week of April 2020. Before submitting the application form, candidates must verify that all the details filled in the application are correct. No correction facility will be provided by the Board to correct mistakes in the application. 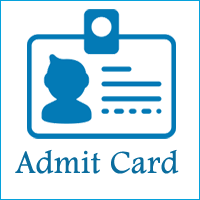 When you are done with an application process, you will get your registration no, and password for downloading the admit card. Now applicants will require submitting the application fee which is RS. 200 and RS. 150 for OBC and RS. One hundred for those belonging to SC/ST/PH category by net banking, ICICI or SBI bank or in bank challan. The last step would be to attain the hard copy of the form to be used at the time of admission. The CG PET 2020 Eligibility Criteria will be designed by the CG Board. The Criteria includes the qualification of students, age criteria, scores, etc. Nationality: Applying a candidate must be an Indian citizen. Domicile: He/she must be a resident of Chhattisgarh and should hold domicile of the state. Indian citizens who are the permanent resident of Chhattisgarh state are eligible to apply. Aspirants will need to qualify the 12th from physics, Mathematics, Chemistry and any of the optional technical subjects from Chhattisgarh board or related board with 45% marks and students from OBC and ST will need to get 40%. The students who are interested in applying for the exam must have their residence in the state of Chhattisgarh. Age: The minimum age to apply is 16 years old (completed). Qualifying Exam: Must pass the 12th class of CG or any other equivalent board. 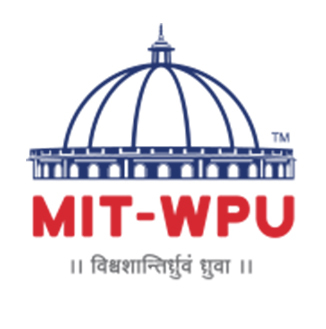 Minimum points: It is necessary to score 50% points in PCM and English to the intermediary and 40% for SC / ST / OBC points. Topics: Compulsory subjects are physics, chemistry, mathematics, and English. 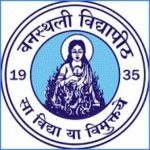 Applying candidate must have passed his/her 12th level exams or its equivalent with 50% marks (40% for ST/SC/OBC/PH) with Physics, Mathematics, Chemistry and English subjects from Chhattisgarh Board or its equivalent Board or University.He/she must be above 17 years of age at the time of admission. In the exam, only objective questions will be provided to students. One hundred fifty questions will be required to be answered. The exam timing set by Board is 180 minutes. The CG PET 2020 Exam will have questions from Physics, Chemistry, and Mathematics. Students will need to attempt each question in the examination. Negative marking will apply to incorrect questions. One mark will be added for answering the correct option. Exam Date and Shifts: CG PET 2020 entrance exam will be held in the second week of May 2020 in two shifts – morning and afternoon. Number and Type of Questions: Total of 150 multiple choice questions will be asked in the exam. Language Medium: Question paper will be available in both English and Hindi Language. Total Marks: The question paper will be of total of 150 marks. Time Duration: Candidates have to complete the exam for 3 hours. Marking Scheme: For every right answer, +1 mark will be awarded. Negative marking is not applicable. CG PET 2020 Syllabus has been assessed by Director of Technical Education, Chhattisgarh. Students should go through the whole curriculum to get familiar with the topics based on which, you will be able to get good preparation. Students who are about to take part in B.tech Courses should know of the syllabus. With syllabus, the students can estimate their level of preparation and get a better interpretation of subjects. Prepare a study routine and follow it regularly. 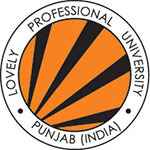 Go through the exam and marking pattern and syllabus prescribed on the website. Prepare short notes. Note down all the important formulas, concepts and points at one place. Revise all the important points noted down at one place. Solve past year’s question paper and sample papers. Study for the entrance examination from the study sources mostly recommended by experts and qualified students. Those aspirants who have completed the application and payment procedures will get access to admit card from the website. The CG PET 2020 admit card is expected to be released in May 2020. Students will be required to enter their Application No and Password with the purpose to download the hall ticket of CG PPT. After providing Registration ID, aspirants have to check the information thoroughly in their CG PET 2020 admit card. If any information is found to be incorrect, it must be brought to the notice of concerned official. It will be obligatory to hold it while appearing for examination as no way you will get permission to sit for the exam. 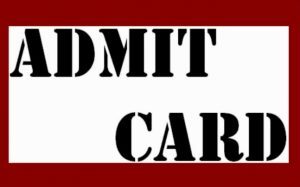 Admit card is contained with Name of applicants, examination date, duration of time, roll number of the applicant, etc. The revision authority will publish the model correction key during the fourth week of May 2020. Candidates can see the correction key only in online mode. The final response key will be published with the result after a few days of the response code of the model. Candidates can also submit their objection with the official correction key within the time limit. The outcome for CG PET is decided to be announced in June after the exam is held. The result can be viewed by notification on the web page after which it will be available for downloading. The scorecard will contain necessary information including rank and scores. The result will also be provided to all appeared students through post or mail. The students will be required to go to the website to access the scorecard and due to which the merit list appears on the same website. The counseling for CG PET 2020 has been decided by officials to be organized online. Students who have been selected by merit list will have to attend the seat allocation process to get the seat at desired college in the course of their preference selected while choice filing. Only those students who have got high scores and rank in the examination will be appearing for the seat distribution through performance and merit. Also, students who are positioned on the top of the merit list will be able to secure admission to college. If you any query regarding CG PET 2020, you can ask your query leave comments below.